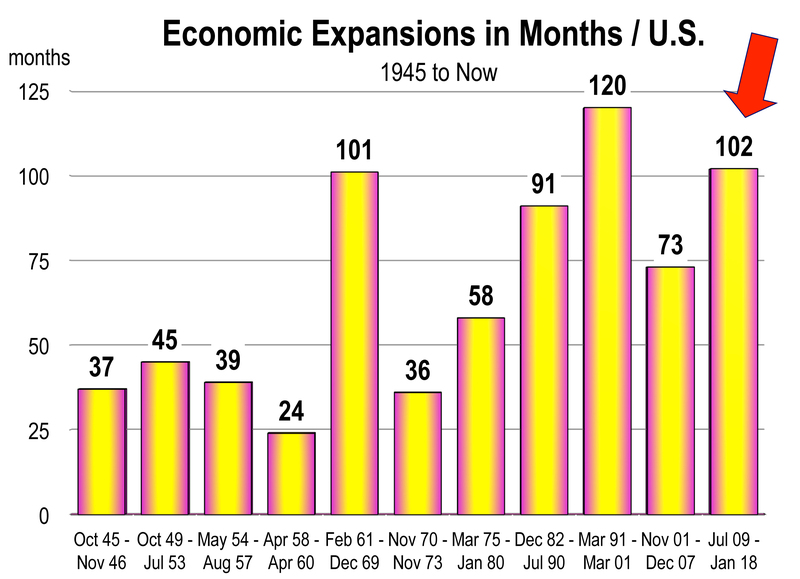 We are now in month 102 of the economic expansion, eclipsed only in recent times by the March 1991 to March 2001 expansion lasting 120 months. From what we can see at this vantage point in early 2018, the current expansion will at least challenge that record. The Tax reform bill will result in a net gain in economic growth in 2018, despite all the wrangling commentary you’ve heard over the last 30 days. Tax reform will certainly have a positive effect on corporate profitability. And higher expected profits will drive stock market valuations. 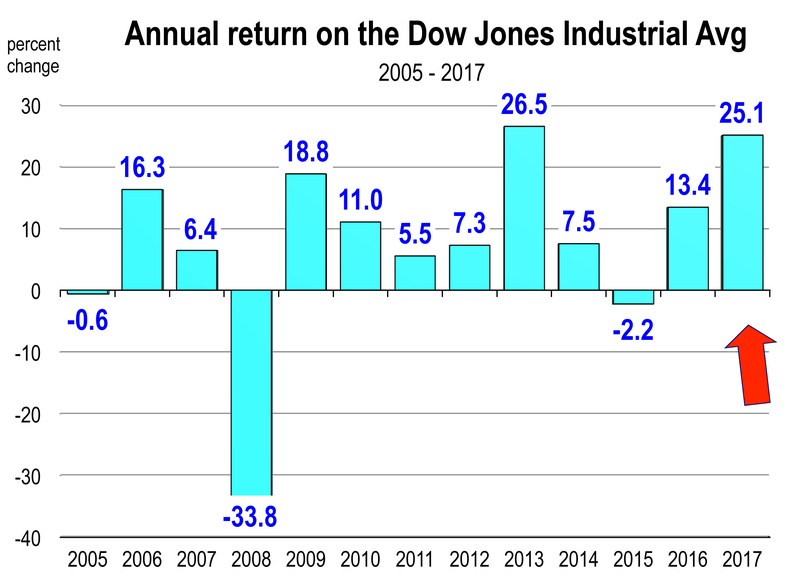 So while it’s hard to see the 2017 stock market returns eclipsed in 2018, barring any episodic change in the world’s economy, the stock market advance is likely to continue. An expanding economy supported by low interest rates, low inflation and improving corporate profits all provide a favorable environment for stocks. The second half of 2018 is less certain, and cracks in the economy that are invisible now may begin to show. Hence more volatility in the market is likely. 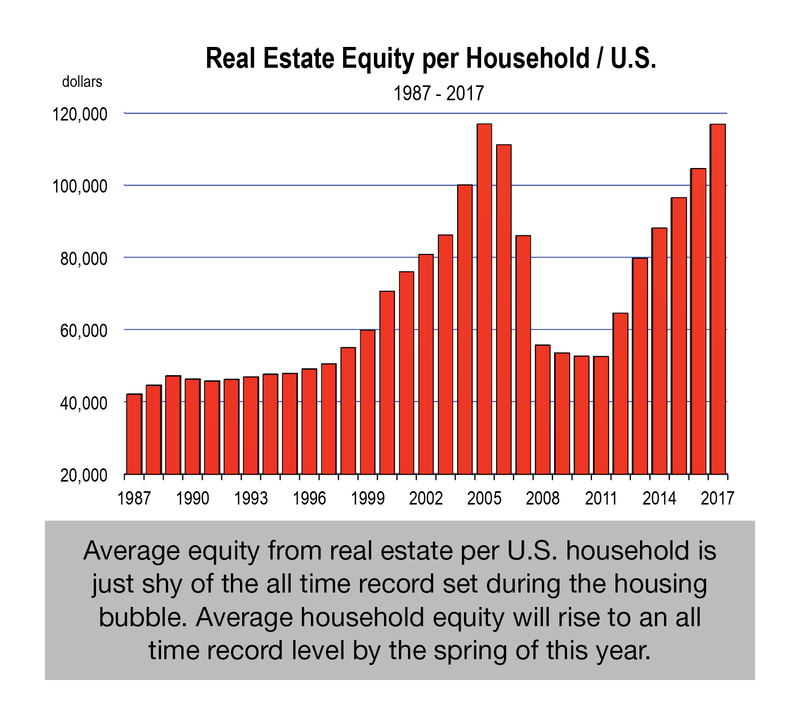 Admittedly, tax reform could be modestly negative for housing, especially as the mortgage-interest and property-tax deductions will be scaled back some. However, real estate is more highly dependent on local factors. Creation of higher paying jobs, for example, are lacking in certain parts of the nation. And though homes are much less affordable in California and other coastal hotbeds, there remains strong demand for higher paying positions, particularly in the technology sectors. The state continues to attract population from other states and abroad. Furthermore, there’s all those millennials living with parents. Are they ready to move out yet? And incidentally, whichever city lands Amazon’s coveted second headquarters this year could become a sizzling housing market practically overnight, for better or worse. The global economic outlook continues to improve. The expansion has been underway since 2010 but now almost all affluent nations are growing again. 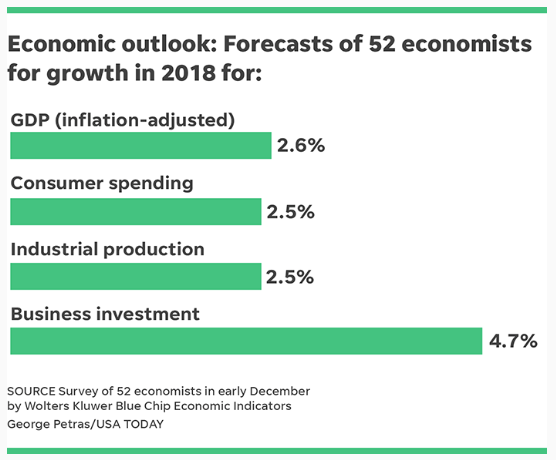 World GDP is forecast to rise 4 percent this year. Global growth will only heighten the demand for U.S. products and services. I mentioned it last month but said little. Why? Because there’s really not much to say. The meteoric rise in price has corrected some in recent weeks. Valuations for Bitcoin and other cryptos will ultimately head further south. 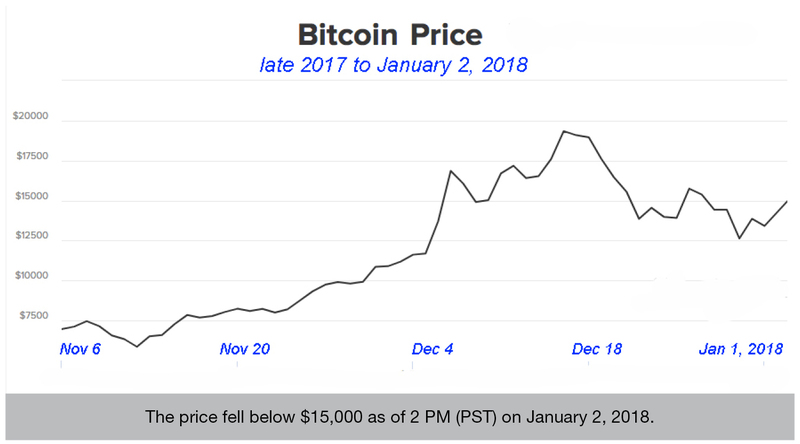 The question is not if but when because the digital asset has no protection, no intrinsic value, plenty of substitutes, and its price behavior is indicative of a textbook bubble, driven by speculation. If you own bitcoin, you’d better be thinking carefully about an exit strategy. However, I do believe that the general class of cryptocurrencies is here to stay as a modern method of asset exchange.